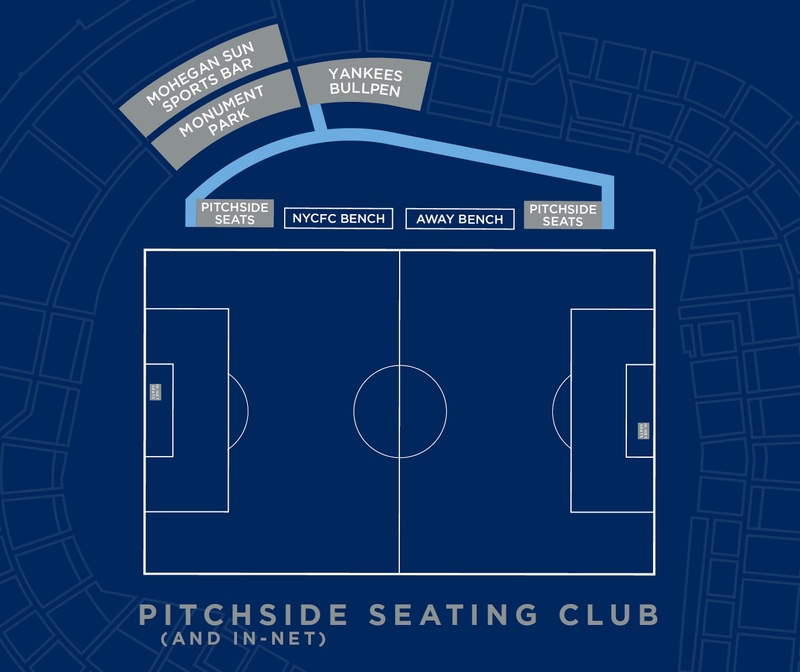 NYC is Blue: "In-Net Seating Club" - Hurry, Available Today Only! "In-Net Seating Club" - Hurry, Available Today Only! 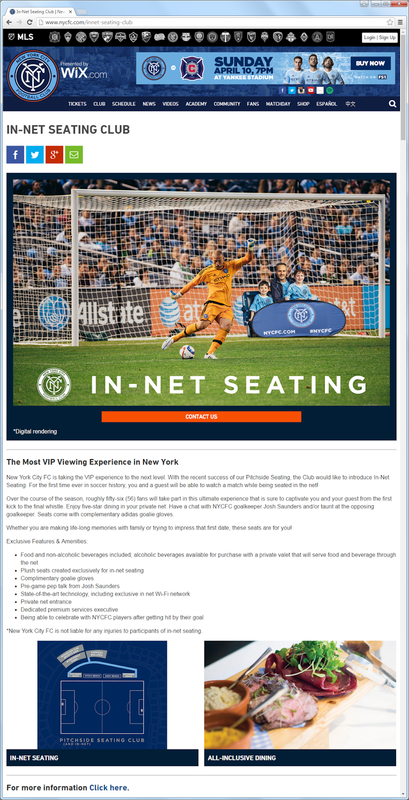 NYCFC put this very tempting offer up on their website today - the best seat in the house! New York City FC is taking the VIP experience to the next level. With the recent success of our Pitchside Seating, the Club would like to introduce In-Net Seating. For the first time ever in soccer history, you and a guest will be able to watch a match while being seated in the net! Over the course of the season, roughly fifty-six (56) fans will take part in this ultimate experience that is sure to captivate you and your guest from the first kick to the final whistle. Enjoy five-star dining in your private net. Have a chat with NYCFC goalkeeper Josh Saunders and/or taunt at the opposing goalkeeper. Seats come with complementary adidas goalie gloves. Whether you are making life-long memories with family or trying to impress that first date, these seats are for you! 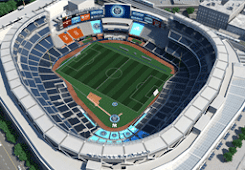 *New York City FC is not liable for any injuries to participants of in-net seating. This seating diagram gives you a sense of how close these seats really are to the action.